While the subtle colors are nice at Mesa Verde, the impact of natural forces are sometimes best seen in black and white. We walked the Long House Loop trail on a hot day which took us through vast areas of burned juniper and pinyon pines from the Pony fire in 2000 that closed the park for 10 days. 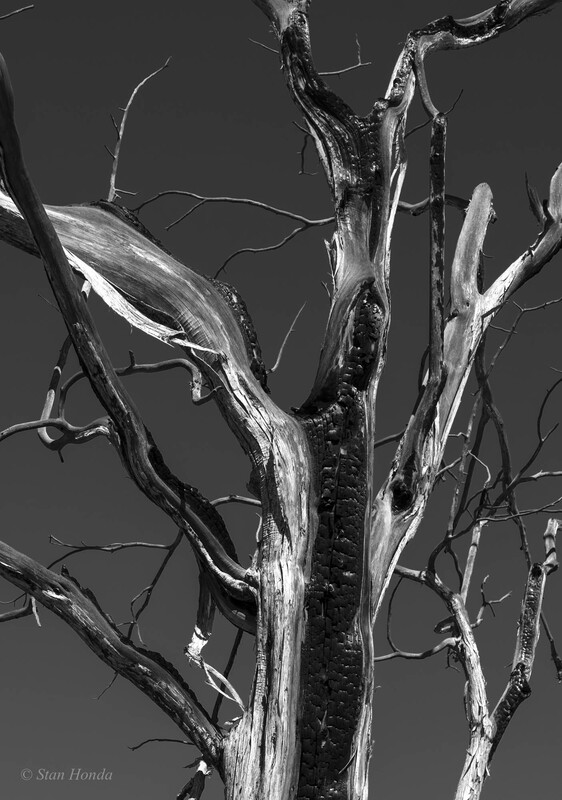 The stark landscape of tree trunks looked like modern sculptures. During our stay we saw several distant rainstorms opening up on the landscape. The sheets of rain coming down, the cumulus clouds building overhead and the lightning from the clouds really give you a sense of how powerful nature can be. 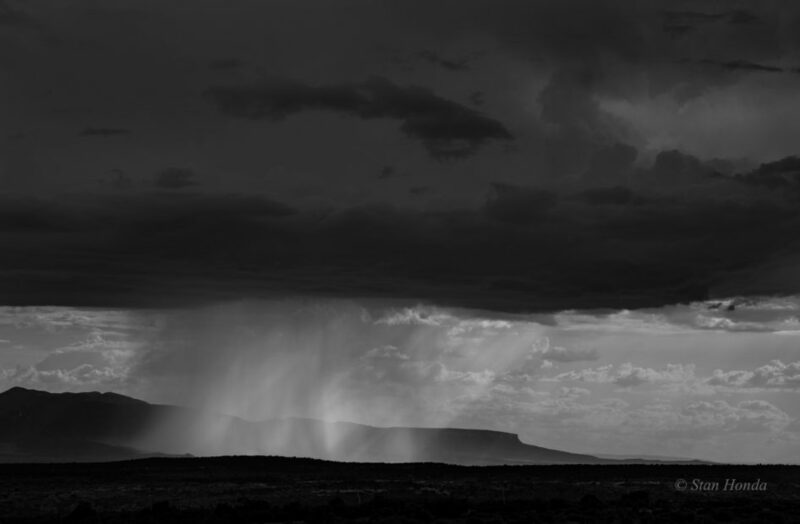 Late afternoon storm south of Mesa Verde. 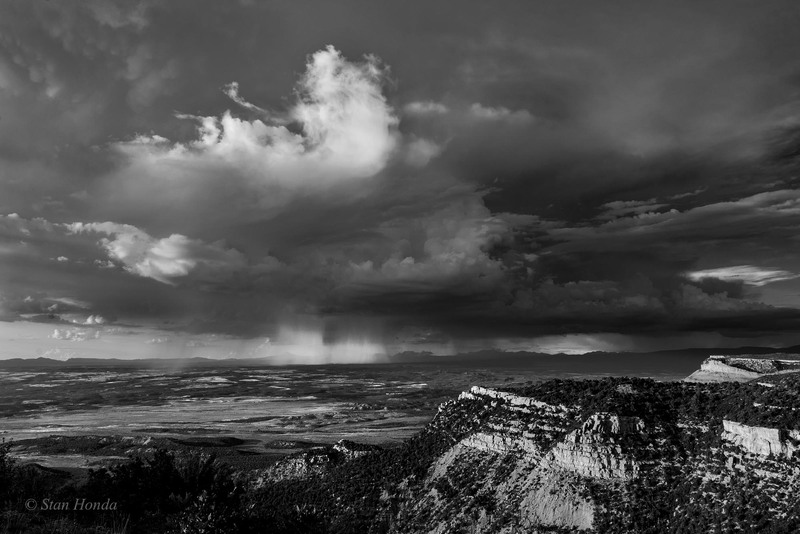 Evening storm to the north of Mesa Verde.